Do you find all the power outlets mounted on the wall above your kitchen counters unsightly? You could buy outlet covers that match your chosen back splash material to try and hide them. 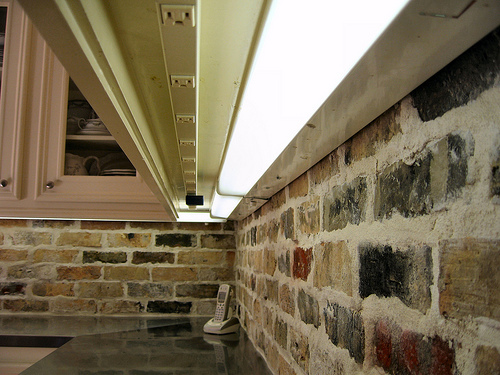 The alternative is to have your electrician install plug molds underneath your wall cabinets. You can see an example product here: 12 Outlet Plug Mold. Plug molds can give you an outlet available every 6″ along the length of your counters.